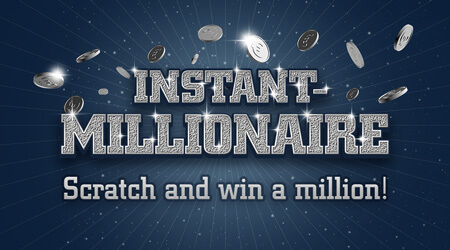 Play Instant Millionaire for €4 and a chance at €1 Million! 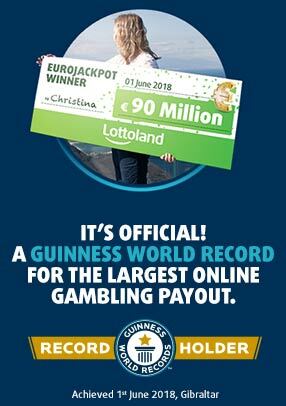 You can become a millionaire in an instant with this incredible scratchcard that features a top prize of €1 million and over €23 million in prizes! Match three numbers to win. Return to player rated at 57.43%. This is a real money gambling app/site. Please gamble responsibly and only bet what you can afford. For gambling addiction help and support, please contact Gamble Aware at 1800 753 753 or visit http://www.gambleaware.ie/.Play Instant Millionaire for €4 and a chance at €1 Million!